In the story of my present dragonborn, she denies she is a Nord thingie, so visiting the Greybeards will come in a later chapter. 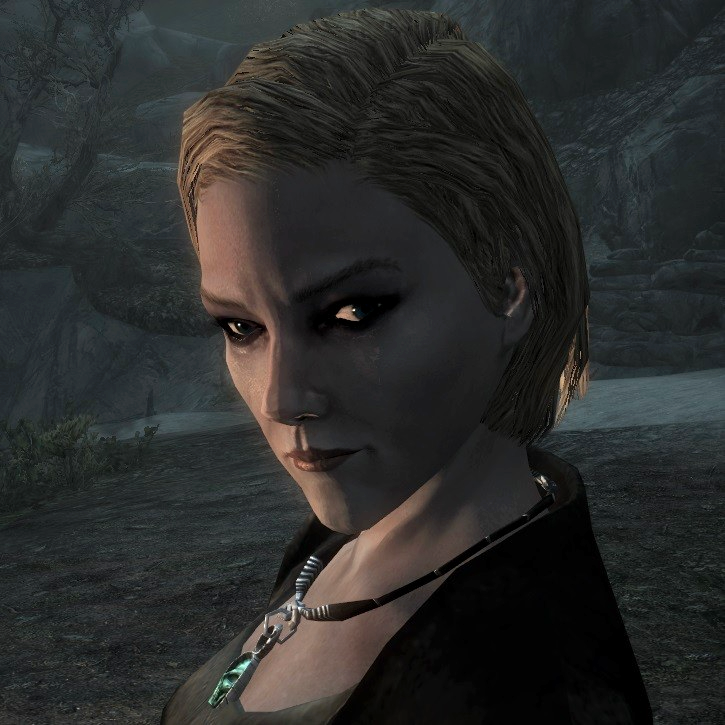 (Maybe Miraak can set her straight) A side quest of Dawnguard has led her there, and I'd like her to get onto the Stones as her next cleaning mission. I've gone to Solstheim before meeting the Greybeards (thus the cultist hit squad haven't shown themselves yet) acquired the Bend Will Shout. Using it on the Wind Stone will free the villagers, and speaking to Storn will start and then close the Dragonborn start quest. You will then get The Temple of Miraak quest, the first task being to meet Frea at the temple. You can start cleansing the other stones as well. Baurus: Our job is to get the Emperor out of situations like this. Though I'll admit, things aren't going exactly to plan. Casandra: At this moment the deadliest weapon at my disposal is a goblin's head on a stick. I'd be worried if this was the plan.